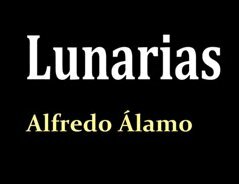 Ya tenemos fecha: El vie rnes 30 de Abril a partir de las 20 horas presentaremos Lunarias en el Bruixes i Fades, local situado en la Calle Rubén Darío 18 de Valencia. This entry was posted on 26 abril, 2010 at 13:05 and is filed under Libro, Lunarias. You can follow any responses to this entry through the RSS 2.0 feed. You can leave a response, or trackback from your own site.